Shown tonight, Tuesday 7th July at 10pm on Channel 5. Tonight [Spoiler]: The Housemates are given numerous tasks to win back money for the prize fund. Chloe, Sam, Danny and Cristian question Joel’s motives. A public voting poll causes Chloe and Jack to have an argument which escalates when Harry involves herself. On tonight’s Big Brother’s Bit On The Side at 11pm on Channel 5 guests include; agony aunt legend, Denise Robertson, comedian, Matt Richardson, former Celebrity Big Brother Housemates, John McCririck and Chloe Goodman. 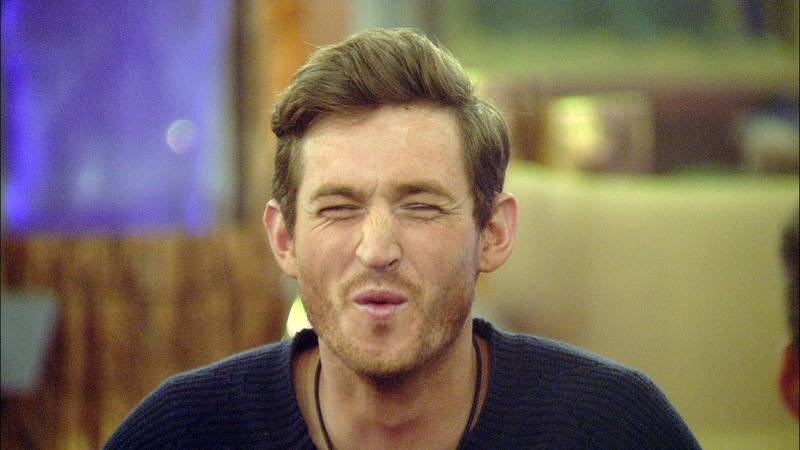 Plus, recently evicted Housemate Marc has a video message. Brother wakes the Housemates up with a loud, beeping alarm. Housemates have sixty seconds to get up and on to the sofas. Big Brother tells the Housemates that they will provided with opportunities to raise the prize fund. The Housemates will be given various challenges alongside a golden envelope containing mystery amounts. If Housemates complete the challenges, they will be able to open the envelope and the amount will be added to the prize fund. · - Big Brother calls Harry and Nick into the Diary Room for the first ‘Cash back’ task. There is a restraining order on the table. Nick jokes, “Thank god for that.” They are told that in order to pass their part of the task, they are not permitted to be in the same room together. Nick cracks a number of jokes about being relieved. Harry says, “Stop showing off at my expense.” Harry leaves first and goes into the garden. She’s annoyed with Nick. · - Nick wants to go to the bathroom but Harry is blocking his way by refusing to leave the garden. Nick is annoyed. He tells Jack and Joel that he made a joke in the Diary Room that annoyed Harry. Joel goes to reason with Harry saying, “I think that’s totally unfair of you.” Harry is unresponsive. · - As part of the task, Big Brother has put on a spread of fast food. If the Housemates choose not to eat the food, they will win the amount contained in the golden envelope. They discuss it and decide to vote for it. Joel and Jack want to eat it. The Housemates vote five to three to resist eating the food. They win the envelope. The amount is one hundred pounds. They are all disappointed. · - Sam and Chloe join the Danny and Cristian in the sky room and both the girls are annoyed. Sam says, “I felt like I was in court and he was the defence lawyer and he was trying to trick me into saying something.” Danny and Cristian agree that Joel often does this. Joel approaches them. An argument breaks out as Joel wants people to tell him things to his face. The argument refocuses on the prize fund. · - Joel, Jack and Cristian are in the garden. Joel asks why people have not raised the “manipulation” opinion previously. Cristian responds that today’s argument has raised the issue to the surface. · - Big Brother has gathered the Housemates in the kitchen for another challenge. The public have been voting on a poll of various subjects. Housemates must try to guess the voted answer to each question. For every correct answer, one thousand pounds will be added to the prize fund. Jack is asked, “Which Housemate is the biggest game player? Danny, Chloe or Joel?” Jack answers Joel. The public voted Danny. Joel is asked, “Which Housemate is the most desperate to win. Jack, Danny or Chloe?” Joel answers Jack. The correct answer is Jack. One thousand pounds is added to the prize fund. Chloe is asked, “Which Housemate is the least untrustworthy? Jack, Nick or Joel?” Chloe picks Jack saying, “The last eight weeks you’ve been one person and this week you’ve been slightly different.” This is the correct answer. One thousand pounds is added to the prize fund. Nick is asked, “Which Housemate is the most ungrateful for the experience? Chloe, Jack or Harry?” Nick answers Harry. This is the correct answer. One thousand pounds is added to the prize fund. · - Jack, Nick, Joel and Harry are in the sky room. Jack says, “I’m a bit disappointed in you.” Jack tries to explain why. Harry continually interrupts Jack as he’s talking. Harry says, “You think you’re far too good to be nominated.” Nick leaves the discussion and says, “She’s just gone up there to piss him off because she knows he’s upset.” Harry continues to make remarks about Jack’s behaviour. Eventually Jack walks away. Harry continuously shouts things at Jack as he walks into the house. Shown tonight, Tuesday 7th July at 9pm on Channel 5.